Last night, I was on the phone with Ms. Zhang Qing, the wife of Guo Feixiong (pen name for Yang Maodong). 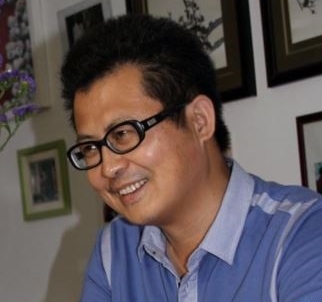 Guo, who was imprisoned from 2006 to 2011 for peacefully demonstrating in defense of journalists’ rights, was arrested again on August 8 by Chinese authorities on “suspicion of gathering a crowd to disrupt order in a public place.” Since Guo’s arrest, his lawyers had been unlawfully prohibited from seeing him on eight occasions—unlawful according to China’s own legal code. During Guo’s previous incarceration he was severely tortured, which makes the family suspect that he is being tortured now as well, or that he may even be dead. On the phone Ms. Zhang Qing was crying. She had called me in desperation, thinking that the connections I’ve made over the years with many of the world’s democratic governments would enable me to rally international support for Guo. I was hoping to do just that. But right now the international situation regarding China and human rights is in a particularly Kafkaesque moment. China, the world’s most notorious human rights abuser, is vying to become a member of the UN’s Human Rights Council, the organization charged with protecting human rights around the world. The UN General Assembly vote is Tuesday, and it’s not looking good for believers in human rights, or human decency. I cannot help asking the question: What would these democratic governments, including that of the U.S., say to the Guo family if they do vote to place the world’s leading human rights abuser on the body charged with protecting human rights? What level of shame will they feel knowing that more than 13,000 Chinese, Tibetans, Uyghurs and Mongolians have had the courage to sign their real names to a petition urging a “no” vote, thus putting themselves, ordinary, defenseless citizens, squarely in harm’s way? These governments know that China’s human rights record has been and continues to be, simply abominable, outside the norms of civilized nations. They know that China has failed in the recent UN universal periodic review of its human rights situation to demonstrate any commitment to addressing its dismal record. One argument for including China on the Human Rights Council is that membership may pressure it to bring its record more into line with acceptable international norms of moral behavior. But China was on the Council before, from 2009 to 2012, and did not for a moment ameliorate its policies of brutality and suppression. China is the only country today incarcerating a Nobel laureate (Peace Prize winner Liu Xioabo). China’s failed ethnic policies have ignited large scale deadly incidents in Tibet, Xinjiang and Inner Mongolia. In recent years there have been more than 130 Tibetan self-immolations. 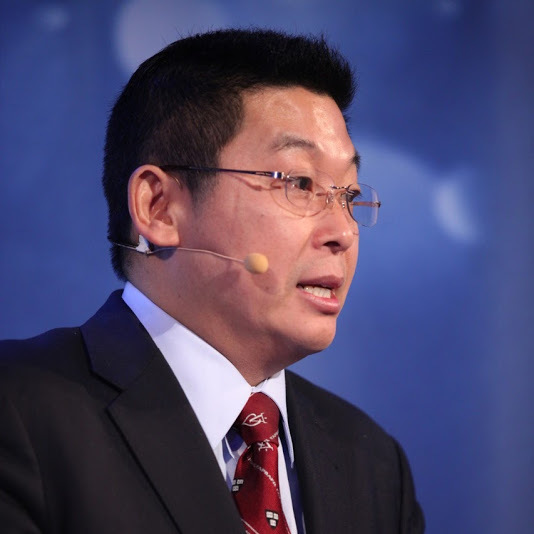 Rights activists such as Guo Feixiong commonly find themselves imprisoned and their families hounded. China’s past Council memberships did not stop it for a single day from perpetrating widespread suffering through its policies of forced abortion, forced sterilization, forced eviction, land grabbing, illegal disappearances, black jails, and torture. Should any government still feel persuaded to ensconce China on the Human Rights Council, I propose the following thought experiment. Assuming that the barest of minimum criteria for any government to be on the council would be that it allow the distribution of the Universal Declarations of Human Rights in its country. Now, 1: Imagine you are a citizen of China. 2. Imagine you travel to the Czech Republic, Japan, or Canada. 3. Imagine that you go to a public place in the capitals of these countries and distribute copies of the Declaration of Human Rights, thus exercising your rights under articles 18, 19, and 20 of the Declaration pertaining to freedom of speech and freedom of assembly. 4. Imagine the reaction of the authorities in those countries. 5. Now imagine going to Tiananmen Square in Beijing, your own capital, and doing the same thing. 6. Now imagine where you will be the next day, and very likely for the next X number of years. Imagine these things, then imagine the scope of the travesty of naming the Peoples Republic of China as one of the world’s protectors of basic human rights. It is important to note nowadays nobody can even walk through Tiananmen Square without fear. It is more so today since it is being even more heavily secured for the on-going Third Plenum of the Central Committee of the Communist Party. Just like for the Party’s 18th Congress a year ago, indeed for any important event in the Party’s life, the ruling Party’s monstrous stability maintaining system is now treating people as enemies and placing many dissidents, rights defenders and petitioners under even tighter control. In the PRC, people, as potential enemies of the State, no longer share a common political life with the Communist Party and in effect PRC stands for the Party Representatives of China. Democracies’ allowing a seat for such a PRC on the UNHRC is truly farcical. By China Change in Analyses and Opinions, Human Rights & Civil Rights, Rule of Law on November 10, 2013 .